I really believe that the vision Mike just shared is the word of the Lord to us at this particular point in time and I think that we need to deal with it before we move on to anything else – if the Lord will let us move on. Turn your Bibles over into Matthew the 7th Chapter. Any vision, any dream, any word that comes has to be judged according to Scripture. It has to find its basis, its principle thought in the Scriptures and we need to be like the Berean brethren, who when Paul came with some of the doctrines and some of the revelations that he had, they went and began to investigate. We need to have that spirit of investigation. I believe that there is a position that God is calling each of you to that are here today hearing this word. If you did not need this word, if there was not a decision that you had to make, you might not be here. You might be somewhere else. You might not have heard the vision that the young man had. There is a commitment that God is looking for in His people in this hour. He is looking for a commitment. You know, God says (in Luke 14) that you do not go and build a house (tower) without first sitting down and considering the cost and what the outlay is going to be for that house lest when you start to build it you begin and you run out of funds and your endeavor becomes a tool of mockery that is used in ridicule against you. And it says neither does a king go up to war without first considering the odds that are against him. I think that in times past we have made the Gospel something very palatable. We have made it very easy for people to come into the things of God and to abide in the things of God and as a result we have had an experience of a wishy-washy, uncertain, unsure position of righteousness. I like the vision that the sister from Nebraska had. What she saw was a candlestick (lampstand) and it had a lavender colored flame. Well the color lavender itself is not in the Bible, but what is in the Bible is the color purple and purple is indicative of the royal relationship. It is indicative of that position or place in the household of God. Lavender is a washed out color of purple. It has not yet come to the position or to the place of that relationship or that state of being that God desires for you and me to enter in. She saw the candlestick and you know that we are connected to the candlestick because the candlestick with its branches is a representation of the Church. It had six branches that went out and they were molded into the stem and the stem was Christ. He is the center, even as the Word says that Christ is Head of the body. The body without a head is incomplete, it has no ability to function. The body is not just the hand that is attached to it, it is not just a foot or a mouth or a shoulder, it is composed of many parts. It is indicative of that aspect of relationship that we have. Now, brethren, because the stems were not welded, it is also indicative of something else. They were not just attached, like you would attach something, but when it was made, it was made or incorporated and beaten, as it were, from one piece. So that means that there was tribulation and suffering that you have done. The vision was for us! Do you understand? The word that the young man brought is for us and it is telling you and I that we are not yet in the position or place that God wants us to be in, that there is work that needs to be done in the midst of our soul and that there is a process that God is desiring to do with regards to us. The candlestick (lampstand) also has the oil in it, which his indicative of the Holy Ghost. It is talking about a Spirit-filled Church that has the promises of God, because upon the candlestick were the engravings of the almond blossoms, which is the promise of the “firstfruits”. The almond tree is the first fruit that blooms. It blooms in the month of February when it is cold and everything else is dormant. I do not know if any of you have seen almonds in bloom, but in California they are quite abundant and very evident and everything else is down in its state of dormancy and it is cold. The temperature begins to drop in California about that time (January, February). It drops down to a certain point and stays there for a while and in the midst of this type of environment the sap of the almond tree begins to come up. You know when a tree goes dormant the major portion of the sap (the blood of the tree) begins to go down into the tree. But in January in that particular time frame the sap begins to come up. What we see in February was a process that really began in January. It was not something that just happened. We see it, as it were, in a moment, in the twinkling of an eye. You know, you go to bed one night and the branches are bare and you get up the next morning to these blossoms blooming on all of these trees all over the orchard. So we see it as in a moment, in the twinkling of an eye, but in actuality the process has been working for some time and from January the sap has been beginning to arise in the tree. It begins to bring forth its blossom in February and it is the promise of the fruit that is going to be harvested in September. It takes that long from the time the tree blooms to the production of the fruit and to the time that it is ready to come off of the tree. So it is talking to a segment of people who have a revelation, who have the understanding, or at least they have the knowledge of the aspect of firstfruits. And you and I know that we have been hearing the message of firstfruits for many years. Now as to the candlestick, the flame speaks of the fire which is indicative of the Spirit of God. It speaks of the process of God that God brings into the believer’s life, even as the promise or the approval that was put upon the third and final Temple at the day of Pentecost when they were gathered in the upper room. It says that the Spirit of God fell upon them and that they not only spoke in other tongues, but that there were cloven tongues of fire upon their heads. It was God telling them that they were a people that were to be part of a temple that was to be built in the end time. We know this because of what it says in Chapter 1 of Ephesians. (Now I am going all over this so that you know what God is saying to you in the visions that God is giving.) Hallelujah! 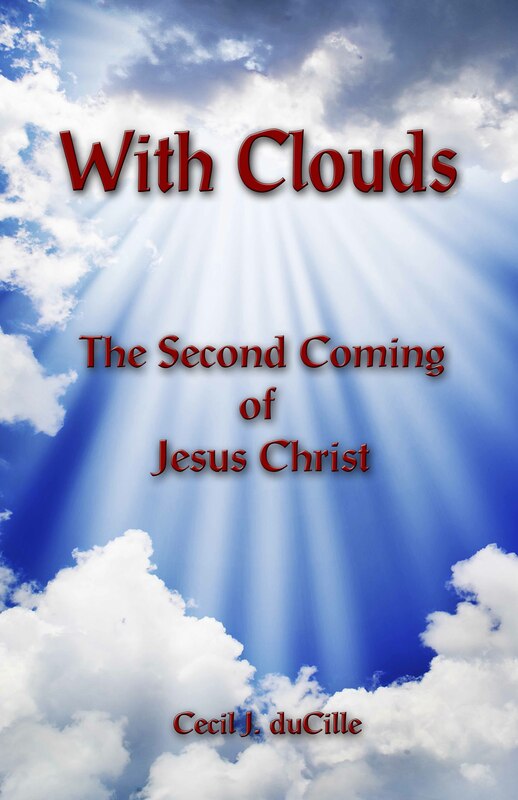 In Ephesians He says that in the dispensation of the fullness of time, those things that are in that realm that we call heaven (that spiritual, mystical, substance-defying realm that we call heaven), He is going to bring them down into the realm in which you and I have related to on a natural plane. He says He is going to bring them together in one. Hallelujah! So in the picture of the candlestick the wick is you and I. It is indicative of you and I because God said that the spirit of man is the candle of the Lord that searches the inward parts of our being. That is in Proverbs 20:27. So God is asking something of you and I that He has hinted at, that He has alluded to, that He has pointed at. Do you hear me? I have gone through all of that so that you might know that it was God’s alluding to your position and place of relationship. He was alluding to the thing that was in the realm of the heavenlies. He was displaying for our benefit a knowledge so as to give us an awareness of the place that we are in and the place that God is desiring to take us to. Now in this vision of the candlestick God says that we have not yet come to that position or that place. The sister who shared the vision had come to me yesterday and she was asking me some questions. Her questions prompted me to begin to pray and to put it before the Lord and as I have put it before the Lord I believe that God spoke to the young man to share the vision that he had been given and as he shared it I believe God spoke to me some things over there and I am trying to bring it together. Now that word, “…from such turn away”, I believe to be inclusive of yet another turning. It does not mean only that when you run into that type of an individual that you physically turn and walk away from him. I do not believe that that is necessarily the thought or the intent of the Scripture. You and I have been put in the world that we might be ministers of reconciliation and redemption. So we have a responsibility anytime that we come in contact with an individual who we might categorize in that category of people, to testify of the hope that is within us. That is our responsibility. Hallelujah. I think that I could be very exact in saying that it is a responsibility that you and I have not taken seriously with regards to the expectation of God. You and I…well, maybe I should just say “me”, but I want you to understand that when I am saying “me”, I am talking about “you”. I want you to understand that God is not looking at you from your own position of perception. He does not have the same estimate of your self-worth that you might have. We have been very negligent. Most of the time we will give way to whatever is necessary to avoid confrontation, we will go out of our way to avoid religious confrontation. I know that when I was a young Christian the Jehovah Witnesses were very, very strong in their desire to proselytize and they are still very strong. They put us to shame. The joke was that when you saw them coming, you pulled your shades, you locked your door, and you turned out the lights. Now I have done that! I have been one who did not want to get involved with some religious discussion and I have always said and I said it at the time, “I need to be led of the Spirit.” I would justify my actions by saying that I needed the unction, or the anointing of the Spirit. Hallelujah! But that should not be our attitude with regards to that position and over the years God has been delivering me from that propensity of “non-combat” and has given me the desire – not to argue – I do not believe in arguing, but I believe I have the right to state my position and you have the right to reject it. And if you reject it, it is not going to hurt my feelings. Now, if I believe what I have it true for you, in your rejection of what I am saying to you, there comes a sense of loss to me personally. Do you understand? There is something in my spirit that turns over in sorrow, because I believe that I have the word of the Lord. I believe that what I have is principally “sound” in the aspect of the Gospel and I am giving you an avenue by which you might traverse from the position of sin to everlasting life. Not only that, but I want to see you in the Firstfruits Company as much as I want to be there. That is not the principle. That is not the principle. It says, “He that seeks to salvage his life shall lose it.” Now, I am using a different word. It says, “He that seeks to save his life…” but most of us aren’t saving it, we are salvaging what we can. We get saved and we begin to organize our circumstances or our situations in a manner by which we might not lose our orientation of familiarity. I can guarantee you, if you travel with me to some of the places I have been, you will be very uncomfortable the moment you get off the plane because everything that you have trusted in is not there. Places where just getting off the plane is an experience in itself. Just getting off the plane! (And you have not even yet met the spirit of the land that is upon the people.) You just get off the plane and all of a sudden the oppression that is upon the land comes to smite your consciousness. You talk about insecurity! You talk about instability. You talk about emotional upheaval of your soul! And you find out that the “law” cannot help you, rather it is looking out to rob you. Places where the structure of government is corrupt and there is not justice, you cannot turn to that avenue. There are spirits, principalities and powers that are openly displayed. You know, we in this country have been very fortunate in that to this point we have said, “In God do we trust.” However that is slowly and surely being eradicated and when they cross the line of that supposition them God is compelled by His righteousness and judgment that He has enacted upon other nations, to enact judgment upon us! Hallelujah! We need to understand that there is a position, a place, a perception that God has of us. All right, going back to this verse in 2nd Timothy where it speaks of “Having a form of godliness, but denying the power thereof.” It says “…from such turn away.” There is a responsibility that is on every one of you! The more timid you are and the more scared that you are – the greater the opportunity, the greater the manifestation and the more you will know that it is God and that it was not you. You may not believe me, but I have a very hard time getting out of my chair and coming up here to minister to you. A very hard time! It is contrary to my nature. Do you understand? It is contrary to my nature to move without knowing what is going to be said. It is very contrary to my order of thinking to get up and just open my mouth and believe that God is really going to say something. It is contrary! Do you hear me? I am a very ordered person, in that I like to know what my next step is. Do I have it written out: one, two, three, four? Do I know where it is going? I do not like the unexpected. It is contrary, but I am telling you, the more you find yourself in that position of weakness, the more the need and responsibility to rise up out of your position of indifference and unbelief and obey God in that circumstance. If you will begin to obey the voice of God that would begin to speak to you about the plight of another individual, He will use you to demonstrate His Name and power into that person’s life that will bring deliverance and salvation. You know there is something that should be stirred within us when a man begins to move in a spirit of deception. There is something in us that should be stirred in us instead of contention. It is like we are afraid of the words that are going to be spoken. We are afraid of the thought that is going to be presented. It is as though our concept of God is that He has not the power or the ability by truth to obliterate the lie of the Devil. To think like this is like “having a form of godliness, and denying the power thereof”! My goodness! You know if God was to bring someone into our congregation…I remember an incident back in Illinois – maybe some of you were there – but a brother came with a very militant spirit and he got up. He had a calling and an election upon his life, but the brother was deceived! The brother was in error! No one else would have – there was no other people that God could bring that individual to than those people that were gathered in that land. Now, it was not because those people were so great. It was not because those people were so righteous. Are you understanding what I am saying? It was not because those people had entered into a very high realm of God and they had the wisdom – the seven spirits of wisdom of God. It was not that they had entered into that realm of ecstasy. It was because they had received a word that was to transform their position of having an imaginary God to having a God of substance and reality! That is what God brought the man in for. The man needed deliverance! The man needed the touch of God into his life. Where else could God send him? Where else could God move him? What would God do with such a man? The churches couldn’t handle him. Do you understand what I am saying? They could not handle him! They would have kicked him out the door! They would have given him the “right foot of fellowship!” We should not be a people that are easily moved from our position of faith in God! I have been in some very, very hard situations. You know, I have gone on some trips with the “foreboding of death”… Do you understand? As I packed my bags and I began to make my plans, I began to pray and I began to organize my stuff and I began to set my house in order. Do you hear me? Because I do not know that it is the will of God for me to come back on the day that I have determined is the will of God for me to return. I have set my house in order. I have left instructions for those whom I have confidence in that they will move by the Spirit in the oversight of my earthly responsibilities. God. I am not in that position of being in contact with Him and thank God that God does not tell me everything that is going to happen to me. I probably wouldn’t go! We call ourselves missionaries, but I do not really believe we are missionaries. I think we are “ambassadors”. I have a particular word that God has commissioned me to take. I go as a representative of His house, but I am not a missionary in the sense of “missionary”, or at least my concept of “missionary”. My concept of missionary is of one that goes and abides. He goes and he suffers with the people. He works in the midst of all the privation and he brings the people to a position or a place…. He is a foreign-sent shepherd that has a shepherd’s heart after the people in that particular place or a particular area. God has not yet put that burden upon me. I thought at one time that He was going to do it, but He did not do it. But, that is God’s business. Hallelujah! We need to understand where we are in the examination of God. God has been examining you since you came here and that was part of the context of the word that I brought yesterday morning. There has been an examination going on in the aspect of our relationship with God, in the aspects of where we are in God and the things that are happening. God is telling us that we are not yet in the position or in the place that He needs for us to be, that He might be able to do what He wants to do with you and me personally! And it was not just that He said, “You shall not enter in,” but because of the context of the scripture from the Old Testament that is used. It says that He said to them that He would replace them with the issue that came forth out of them [their children]. And this is all encompassed in your vision, young man. You know I cannot get out of the Old Testament. I have tried very diligently. I start reading in Matthew, “Blessed are they who mourn and blessed are they that weep; blessed are they that hunger and thirst after righteousness,” and all of a sudden I find myself reading in Isaiah, or reading in Ezekiel. Or, I will go into Revelation and I end up in Zechariah, or back in Malachi. Ezekiel is a prophet to the “End-time Church” and when we talk about “Israel” in its actuality, God is not talking about the Church as a whole. Now, by that I mean the denominational structure. God is not talking necessarily about that aspect of Christianity. My personal position or belief is that anytime He refers to that segment of Christianity, He calls them “Jacob”. Jacob was “called”. He had an anointing upon his life. He “wrestled with God”. God touched him and in spite of the touch of God that was upon him, he did all sorts of things to better his position with Laban and every time God would use Laban to change his circumstances that He might humble Jacob and bring him into a position of repentance. Yet Jacob would connive some other way by which to get the blessing and call it “God”. It was only when God drove Jacob out of the land and he was facing his brother and Laban was coming and he had built the pillar, finally got him into that position of understanding and yet, he still was conniving! He said, “Oh, I am going to give this offering and then I am going to give this offering and next I am going to give this offering…” He was trying to buy himself into harmony with his brother! He was trying to buy God! He was still trusting in the “deceitfulness of riches”. Do you understand? He was Jacob, called of God, touched by the Spirit of God! He had a vision, He saw angels “ascending and descending”. Not only did he have that concept, but also he “wrestled with God”. Now it did not say that you were God, it says that you were a prince and let me tell you something, there is a vast difference between being a prince and being the King. Any prince who wants to move in an attitude of being a usurper and is one who wants to inherit by force, you know what happens to him? We have the story in the Bible of Absalom. He desired the throne by a means and by a way that was not right. He sat in the gate. He talked to the people. (Sounds like our politicians today, doesn’t it?) Sitting in the gate, talking with the people, relating to them, getting down in the nitty gritty, going from door to door, introducing yourself, picking up the little babies. Hallelujah. We are afraid of the word of the Lord! We are afraid of the presence of God. We are a lot like the children of Israel. We have held back, we have withdrawn ourselves, we have secluded ourselves sometimes. We have isolated ourselves and cut ourselves off from fellowship and all for the sake of preserving something in the natural realm of our humanity. Hallelujah. It should not be so with us. God said that He has placed a name upon us that is not the name of Jacob. It is the name of “Israel” (One who has favor with God). Now I would have you to go back into the Old Testament and go through the various prophets and see the indictment that is being brought against Israel. Not Jacob, but Israel. Israel was God’s elect. Israel was God’s “called out”. Israel was that segment of Christianity who had heard the word: “Come out of her, My people and touch not the unclean thing, that ye be not partaker of her plagues.” Israel is that aspect of people that has the desire of God. He said, “I will write My laws upon your heart. I will walk in the very midst of you. I will talk in the very midst of you.” God had that type of expectation, but it seems that Israel had a mind of his own. Many times he would go a whoring after other gods. Many times he would rebel and be stubborn. We would do well to really teach the principle to our children that “…rebellion is as the sin of witchcraft, and stubbornness is as iniquity and idolatry…” (1Sam 15:23) Some of us are very proud about being so stubborn. We say, “I am a very ‘determined’ person.” But the Bible calls it “stubbornness”. There is not one time that the Bible ever uses that kind of terminology when it talks about the sons of God. There is not one time that that term is ever, ever used when it talks about Israel in the position or in the place that God desires Israel to be. The indictment that is against the house of Israel is that they are a stiff-necked people, that they are a rebellious people, that they have other motives for coming and gathering themselves together in the presence of God! I am talking to you about what is in the Old Testament. If it applies to you, then do not get mad at me. Do not get mad at me, but go to God. Go to God! If you want to get mad at me, then get mad at me, but you are wasting your energy. You are wasting your time and you are wasting your effort, because you should be going to God about what the scripture says and what the Word is saying. The young man said that many were going down the road and it was spiraling down and you know, there is a place you reach in your rebellion and your being stiff-necked and hardhearted where you come to a point of no return. Do you know why? It is because there is something in your rebellion that is creating something in you that is opposite to the thing that God wants to create in you; and the thing that you are creating and nurturing and bringing to a place of strength, has the desire within it to eradicate the knowledge of God from your consciousness! Now, we think that because we have the Holy Ghost and we have the Word of God that that sanctifies us and keeps us within an arena of safety. “I’m safe! My doors are locked. My windows are locked!” That is, however, not true! That is not true, because Scripture (He 6:4-6, 10:38-39;) says that there is a possibility for one who has known the truth – for one who has seen heavenly things, for one that has tasted of the heavenly calling, one who has had the experience of the ecstasy of being lifted up into the very presence of God and seeing God in His regality and His majesty – there is the potentiality for that one to rebel against that concept and to turn away. That does not really need much explanation. I have found that if I will take my concordance and use that very spiritual tool called the Dictionary… You know, the English language is losing its ability to communicate. We are using such words as “cool” and “rad” and “awesome”. We are losing the ability in the English language to articulate, so that we have lost something of our ability to describe and explain the majesty of God, or the diabolical aspect of hell! We are losing the ability to understand. Do you know that you can say a word to me and I can have a very different concept than what you have with regards to that word? Different languages are different. I found out that in Swahili when they talk about a woman marrying a man that the word they use for married is to cook. One day I heard a woman praying over an individual and she was rebuking and binding that spirit and all of a sudden she rebuked it and the man who was translating said, “We command you and we cast you into the bush!” The word bush was a word that had the connotation to them of the abyss. We do not understand the Word. We do not take the time! Another thing that we have a problem with in our congregation is hearing a word and then going away and thinking about it for a bit and then leaving it. It is like it falls to the ground! No matter how good your memory is…they say that within twenty-four hours you lose ninety-six percent of what you heard. (Unless you have one of those photographic memories and I do not know how much content a person with a photographic memory really understands, other than reciting by rote what they saw.) But within twenty-four hours you lose ninety-six per cent! This is if you do not go back over it. It means that we are just taking everything that anybody says as the gospel truth and WE NEED TO GET INTO THE WORD! Nobody will ever be able to shake you from your knowledge of the Word with a “truth” that they bring if the truth they bring does not line up with the Word of God! The Word says that God does not desire that one man or one soul should perish, so there are those that are going about with the desire of God to save souls. I wish that we had a little of the tenacity and the determination in God that the people in India have with regards to evangelism. I have not seen anything like it. They will sacrifice time, energy and money. They will travel miles and miles and miles and miles and miles in heat that is unbearable for the purpose of ministering and preaching the gospel and that they might redeem souls from hell! We have become indifferent! I am trying to outline that form of godliness that denies the power of God. We have become indifferent! We have become indifferent to the aspect that humanity is sliding, sliding, sliding into a pit and that there is a responsibility before God that we have concerning this. He is expecting, with regards to you and I, that we be demonstrating and moving in the power of the Kingdom of God! “Straight is the gate!” It is not talking about salvation, it is talking about the way into that realm we call the “Holies of Holies”. It is not dealing with Outer Court experience, it is not even dealing with Holy Place experience, it is dealing with Holy of Holies experience. I want to tell you something, before you get into the Holy of Holies, there is the altar of incense that is placed before that sanctuary. Hallelujah. It is not a place where man brings his “stuff” and lays it upon the altar as a sacrifice. It is not where he brings the labor of his field, or the labor of his hand, or the labor of his vineyard, or the labor of his flock but it is a place where the priest would bring incense and he would sprinkle it upon that altar. It was the offering up, not of a soul that is marred and that has the mark of sin upon it, but it is the offering up of the soul of man that has been justified by the blood of Jesus Christ. It is the soul that has the infilling of the Holy Ghost. But I am telling you it is also indicative of a cooperative expression of God. It is not something that is individualistic. It is not something that one person can take unto himself and begin to boast and brag of his accomplishment of moving into a relationship with God that no other person on the face of the earth has. It is not that kind of a relationship! There were twelve loaves of bread which is indicative of the twelve tribes of Israel. It was indicative of a cooperative movement, a collective body of people: One arm coming in contact with the elbow, one joint coming in contact with the other arm…the feet coming together! Loose! Loose! Loose! Brethren, there were twelve gates on the walls of Jerusalem. There was not just one gate, signifying one man coming into an experience that no other man has had! We already have that man and His name is Christ Jesus! He has been lifted up and He is the Head of the body! Of Whom, the whole body, fitly joined together, comes together! It would be a funny body if it was just one Head and one arm. [In Ezekiel 37] Ezekiel did not see bones scattered and just remaining in a position of disarray. It says, “Son of man, blow on the bones. Speak unto the bones the word of the Lord. Speak unto the bones that they might live!” It says that he spoke the word of the Lord and the wind began to blow across the valley and the bones began to come together! It is very hard for a bone to fit into its place if the bone is resisting the moving of the wind that is blowing upon it to remove it from the heap of bones and attach it to a particular part in the body. It is very difficult, I am telling you. It is very difficult! There were many bones in that valley. There was a valley full of dry bones and yet there was only one body. There was only one body. There was only one body. Brethren, God is saying that if you want to enter in – if you want to have that experience and that revelation of “living” – it is necessary for you to be “connected”! Twelve loaves! Twelve breads! Twelve different things walking in that position and in that place in the Holy Place, walking and talking and moving in ministry. The priesthood had a peculiar style of dress that designated them as to who they were. You knew that they were not of this tribe or that tribe and you knew that their office or their service was not of carrying the articles of this or that, but it was in the ministration of the things that pertained to God! God is not calling us to theology! God is not calling us to religion. God is calling us to a living experience with Him. God is offering You and I an opportunity to move into a relationship with Him that no other conglomerate people on the face of the earth has ever experienced to this time! Prophets have yearned for what God is offering to us. Daniel prayed and he wanted to know what was going to happen in the end time. John, on the Isle of Patmos, must have had a desire to see the Lord, “High and lifted up and His train filling the Temple”. That is the position, that is the place that you and I are being offered! That is the thing that God is requiring of you and I in this day, this time, this moment! It says, “…and few there be that find it.” Few! Few! Few! Few! It was only the high priest that had the opportunity of going through the veil. Scripture speaks of Jesus as being our high priest and that Jesus went through the veil. It says that when He was offered up on Calvary and as He hung there as propitiation for our sins and as that blood was draining out of His body, that the essence of God that was in Him was being released into the atmosphere around about Him! It says that it was in that place that the veil was rent! From top to bottom it was rent! It was torn. We are told in Hebrews that He went into the Holy of Holies through a “living” veil. Not through a veil of cotton and linen, but a veil of human flesh! God is asking you to make a decision today. God is asking you to make a decision today and I am not going to sit down without giving you that opportunity to make it. If you believe the word of the Lord and if you believe that it is the word of the Lord, if the Spirit of God is talking to your heart – then I am going to give you an opportunity to come up here and to give us an opportunity to pray for you and be a witness to your position and your place of dedication. Covenant relationship with you. It says that when Christ went down into the river Jordan, there was a sign of approval, there was a Word that came from heaven and there was a dove that descended upon Him as a seal, as a stamp of the approval and favor of God! How can the Father not respond to a child or to a son that would present himself in such a manner? Hallelujah! I want you all to stand up please. If you heard what I have spoken and if you have the Spirit of God talking to your heart, I am encouraging you to take this opportunity. Just come right now and let us pray for you. Now I want you to understand exactly what the Spirit of God is asking you. Many of us are holding on to some things that are very precious to us. For some of us it is our reputation, for some of us it is our relationship with God that we think is very special and very, very personal to us. We have felt very special in God because of it. Are you willing to wait? To wait and wait? Wait and wait and wait and wait? And wait and wait; and rejoice in the fact that you are waiting because the hand of God is heavy upon you! Are you willing to suffer and mourn with them that mourn? Are you willing to weep with them that weep? Are you willing, as was the prophet Ezekiel? In Ezekiel 3 it says that he was lifted and taken, as it were, by the river Chebar; and it says he dwelt there seven days and as he was there amongst God’s people who were in captivity he was “astonished”! It means that the plight of their circumstances and the depth of their situation was laid upon him. Are you willing to eat of the roll that tastes as sweet as honey but has a bitterness within your belly? Are you willing to praise the Lord for the bitterness of the taste of the thing that is working as agitation and indigestion within your being? God is asking you today – are you willing to have that experience? And not experiencing it as one that has to, or is obligated by circumstance or by situations, or because of a decree or a demand, but because there is a desire to know the Living God! Are you willing to testify unto His Name and the power therein? Are you willing to be rejected of all men? Are you willing to suffer persecution and ridicule? Are you willing to be made a laughing stock because you ask a man if he is born again, or if you ask a man if he has the indwelling of the Christ within him? Are you willing to lay your timidity and your fear on the altar? Are you willing to lay your possessions and the things that you hold so dear – your financial resources, your place of prosperity – are you willing to lay it upon the altar and to have the fire of God come forth to begin to consume it, or use it for His purpose and for His benefit? “Take the pride, take the place of determination, take the place of individuality, of personality. Take my sexuality. Take my position of pre-eminence, whether I be male or female and the position of pre-eminence that I desire to have in that place. Lord, let me lay it before You upon the altar that Your fire might consume it!” Are you willing to make that type of commitment this morning? Are you willing to ask God for tribulation? That it might work experience and that experience might bring hope and that in the end product of the thing that happens? There is no shame, but redemption and glory and the clothing upon with that heavenly body that God speaks about in the Corinthian Chapter. “Oh God, clothe me this day with my house which is from heaven!” Are you willing to make that commitment? Are you willing to ask for the fervent heat that moves within this realm of our earth, to dissolve every earthly thing and the elements of this world that we hold and cling to with such tenacity? Are we willing to say, “God, bring the fire into my life”? Are we willing, as when God spoke to the prophet Elijah, to go and to confront the prophets of Baal? He built an altar and he dug a ditch and he poured out the water upon it; and he laid his sacrifices on the wood and he poured the water upon it. He then commanded the fire of God and it says that the fire fell. It consumed the wood, the offering, the stones and it licked up the water that was in the trench round about it. Are you willing for that type of an experience? So that out of the midst of the ashes of your pride and your aspirations and your ambition and your individuality, that out of the ashes of all of that God might bring forth beauty. Are you willing for that? Amen. Amen. Father, You see our hearts, how they are gathered here collectively. You see, Father, our souls as we lay them out before the altar this morning. You see every personality. Every one is an individual entity before Your eyes and as an open book laying before You and You have examined the pages. You know God, of the aspects and the thing that need to happen within their lives, individually and collectively! God, we are presenting ourselves before You this morning in the hopes that our offering is as a sweet smelling savour unto Thee. Father, we are laying our “Isaacs” before You this morning. Father, we are laying all of our physical, natural and financial substance before You this morning. You see the area of our economics, it is not a matter of what we think about it, it is not a matter of how we perceive it, but it is a matter of how You view it and what You know to be a fact! We are putting that upon Your altar this morning. Let Your fire fall! Let it fall, God, as it fell in ancient times. Let it fall as it fell upon the altar of Elijah. Let it fall as it fell when Solomon offered up the accoutrements of the temple and himself and his people before You. So also do we stand this day, let Your fire fall as it fell upon the altar. Oh God, even as the 120 gathered themselves in that upper room, so we are gathering ourselves in this position, in this place! We are asking God, that the fire of God move within our lives, even as the cloven tongues of fire fell upon those that were gathered in that place and in that position. Oh God, let Your fire fall. We put upon Your altar our ambition: our ambition for spirituality; our ambition for physical exactness; our ambition to be in a position of exultation; or just in a position of sufficiency. Lord, we put all of our ambitions on Your altar. My God, you see us male and female, men and women, our ambitions of male ego and our position of toughness and our position of masculinity that often moves in an usurpous manner to bring destruction. God, we lay it upon the altar. Oh yes! And that feminine quality of the woman: easily moved, easily swayed, easily overshadowed and brought into a place of deception. Oh God, You see the desire within the heart of the women. Father, we ask that as it lays upon the altar, that Your fire would fall and that we might be changed, in a moment, in the twinkling of an eye! That we might have a sensitivity of the spirit of deception that is moving against our minds. God, we need to repent before You. You see our indifference. You see our lethargy. You see the position, the place, of our complacency and our self-satisfaction. God, we lay it upon the altar today, as a sin that we have made and we ask that You would forgive us! Forgive us of our lethargy. Forgive us of our position of compromise. We have compromised! For self-preservation, we have compromised. Lay it upon your altar. Lay it upon your altar and let the fire of God fall upon it.